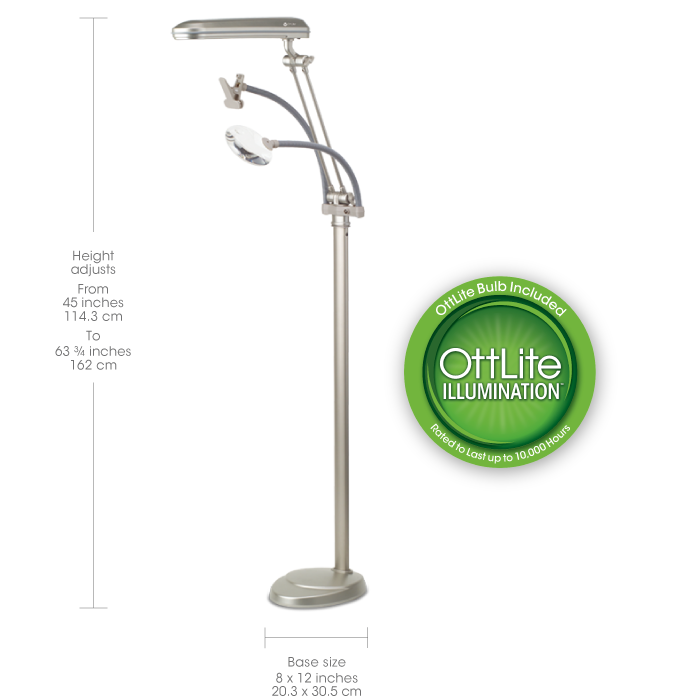 The 24w 3-in-1 Craft Lamp is designed for ultimate functionality with an adjustable magnifier and pattern clip. 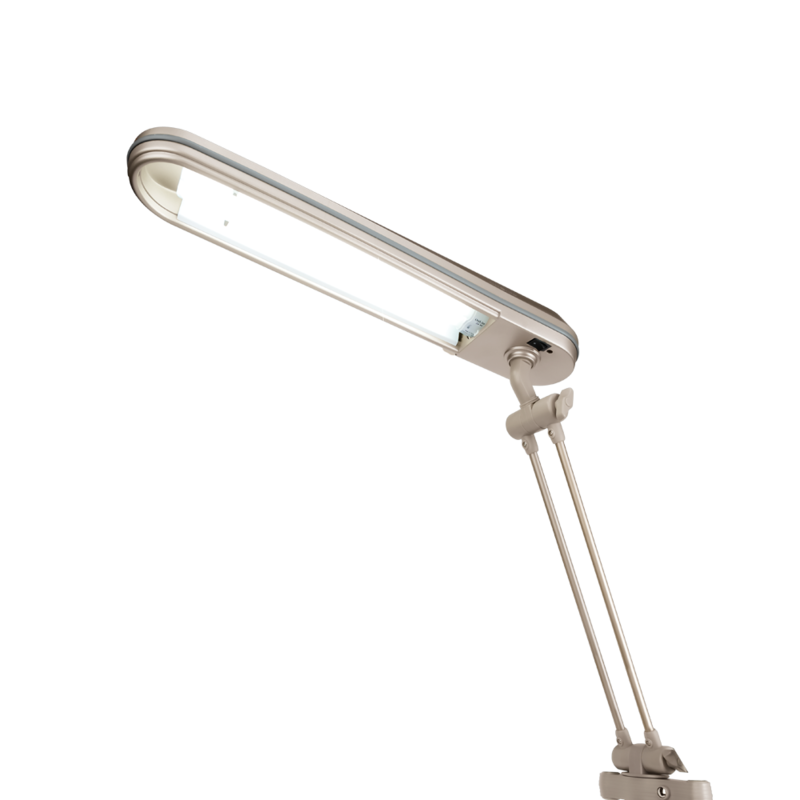 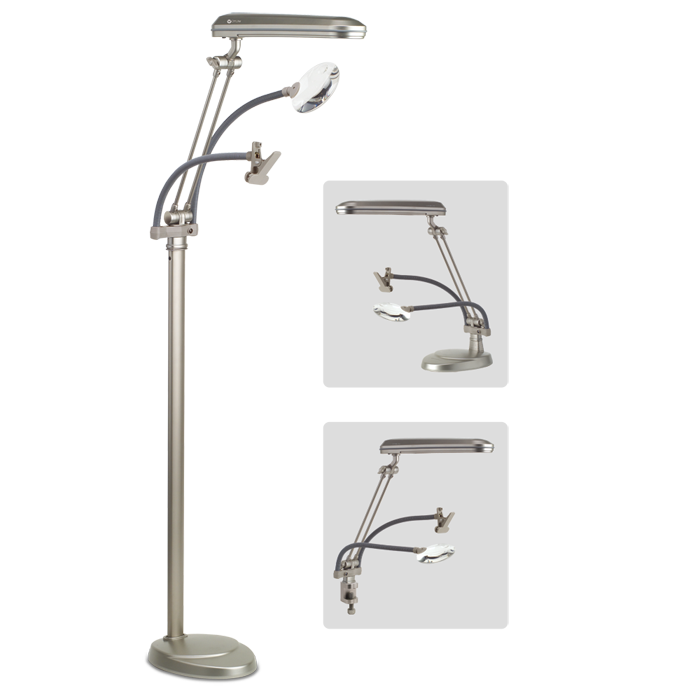 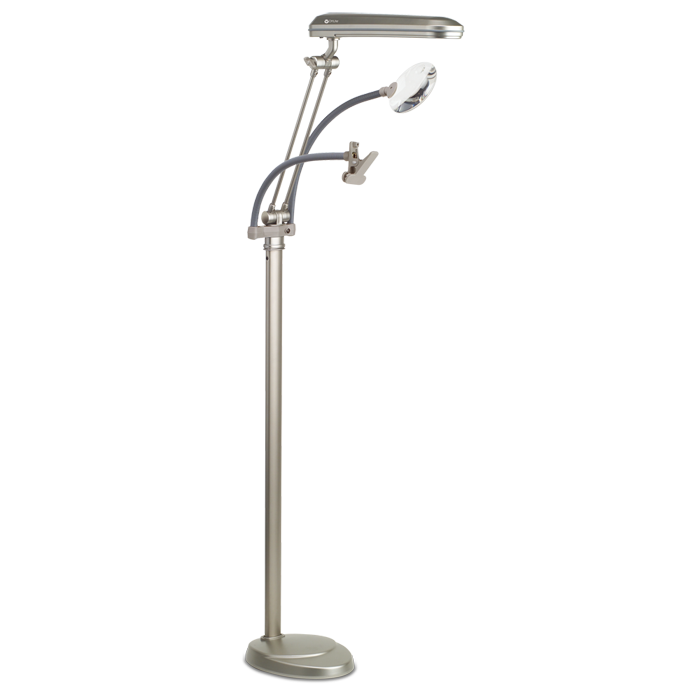 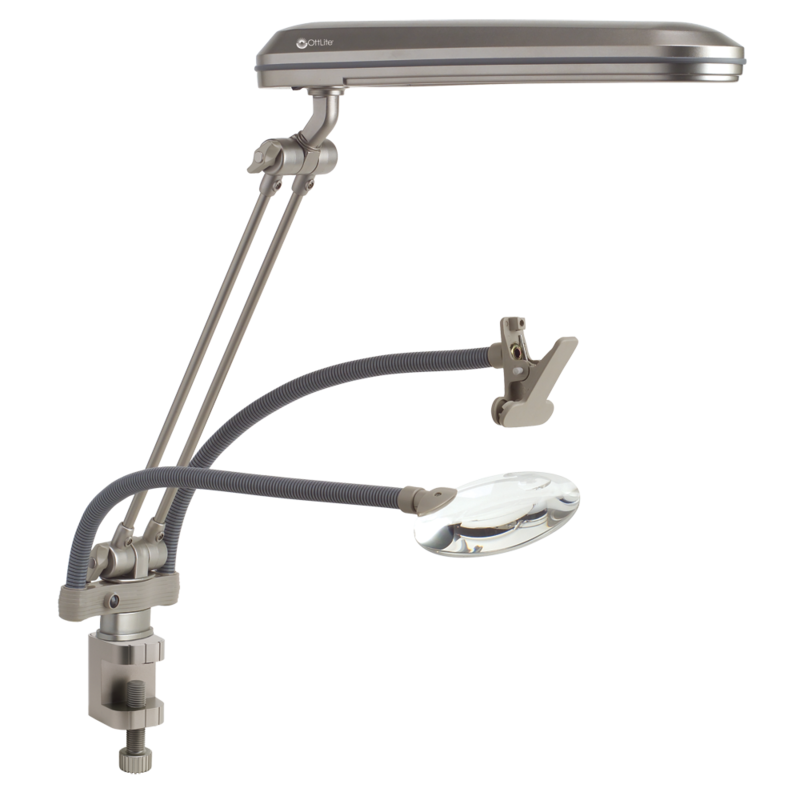 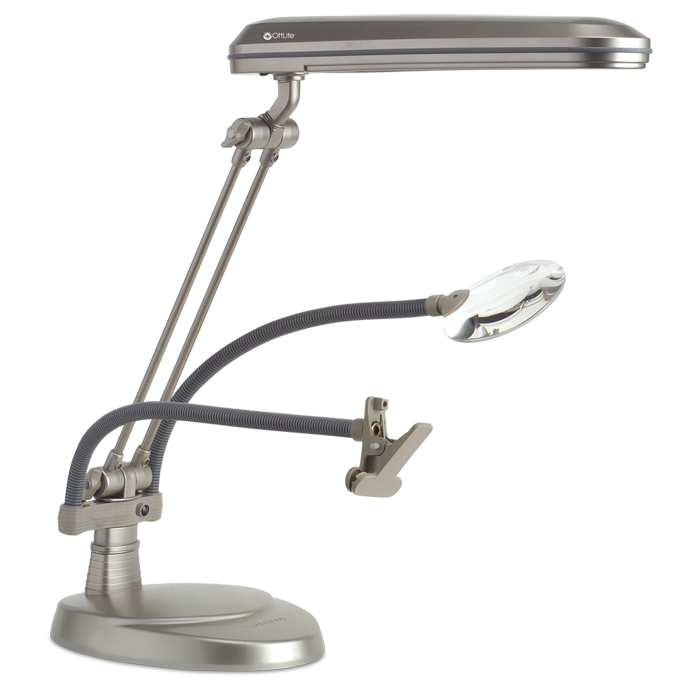 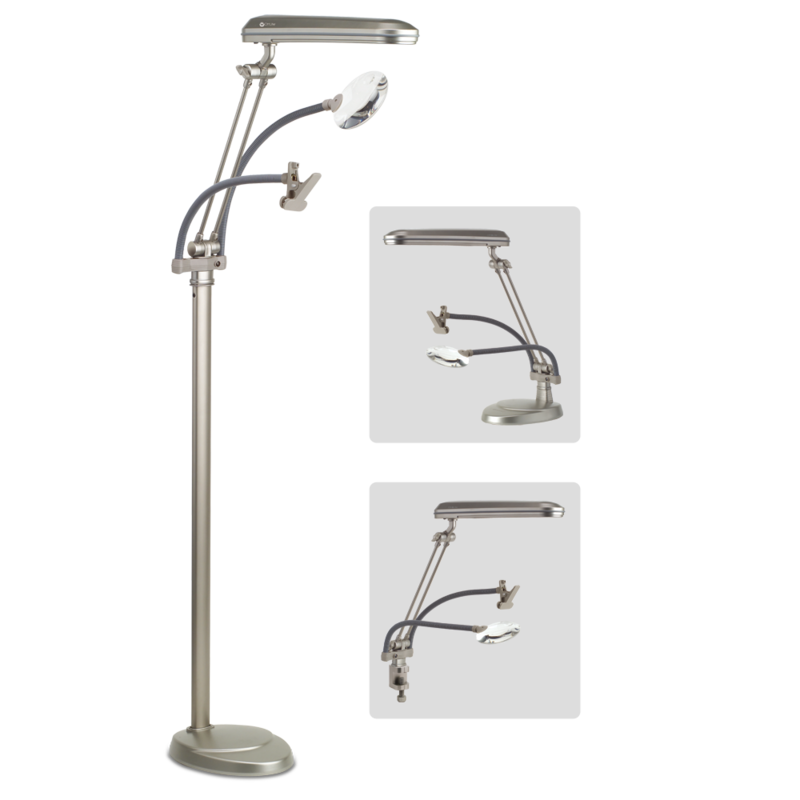 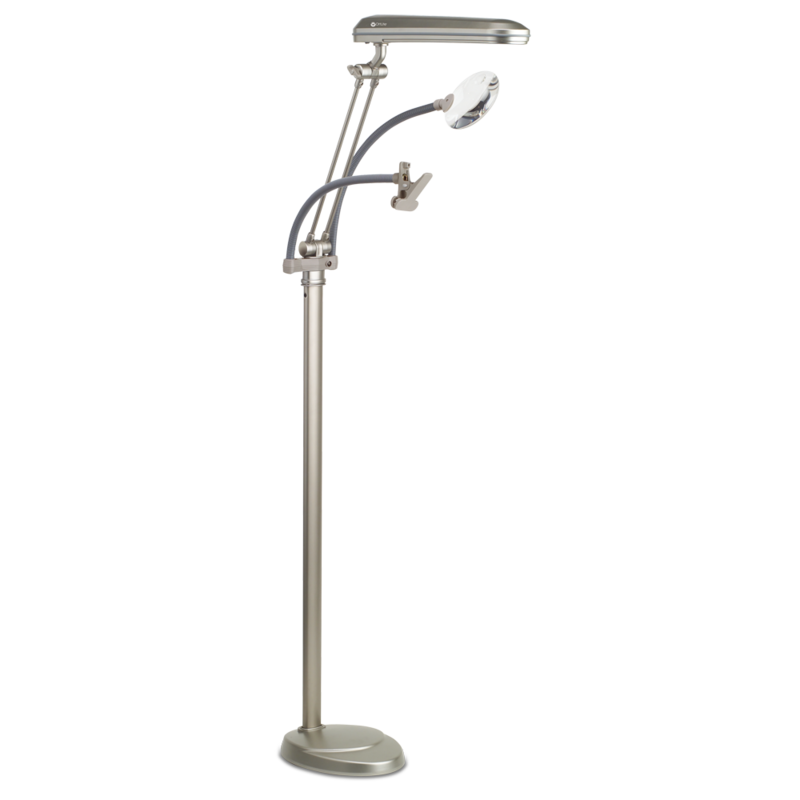 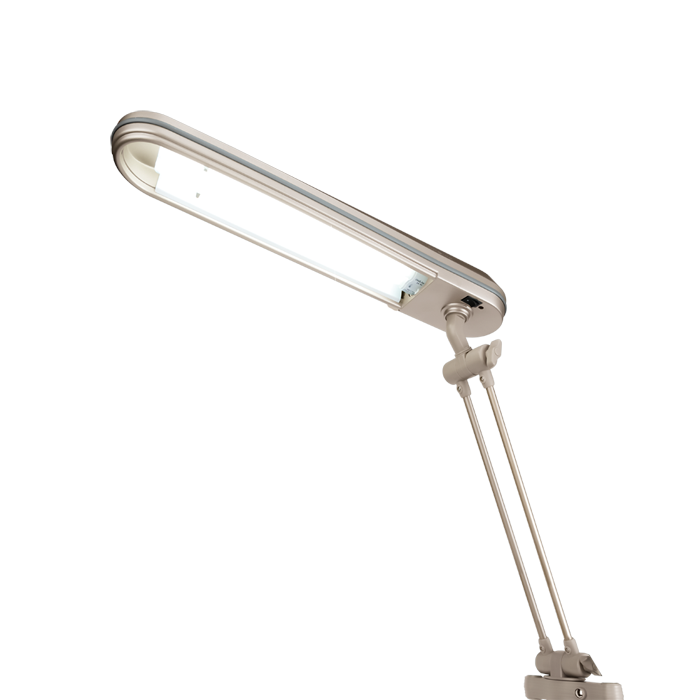 Three lamps in one, it comes with a conversion kit letting you easily convert from a floor lamp to a sturdy clamp-on configuration or table-top lamp to meet the needs of your workspace. 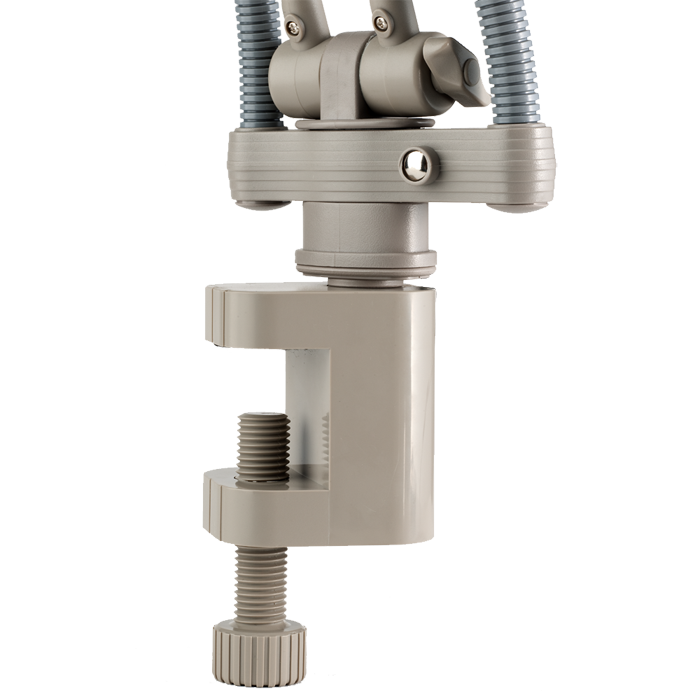 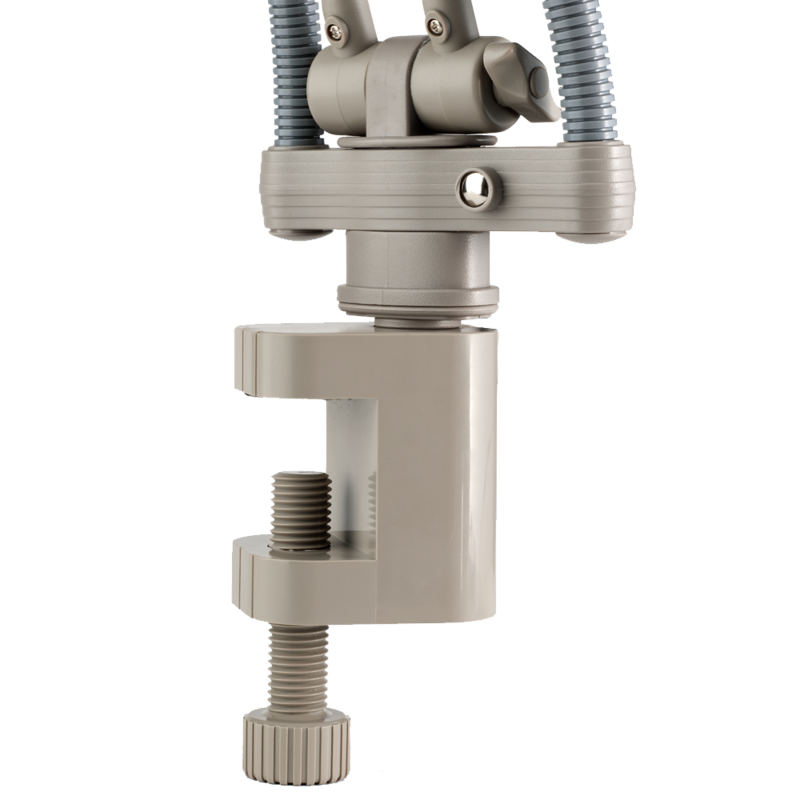 A flexible neck attachment with sturdy clip securely holds pictures, patterns, charts, instructions and more — it’s like having an extra hand. 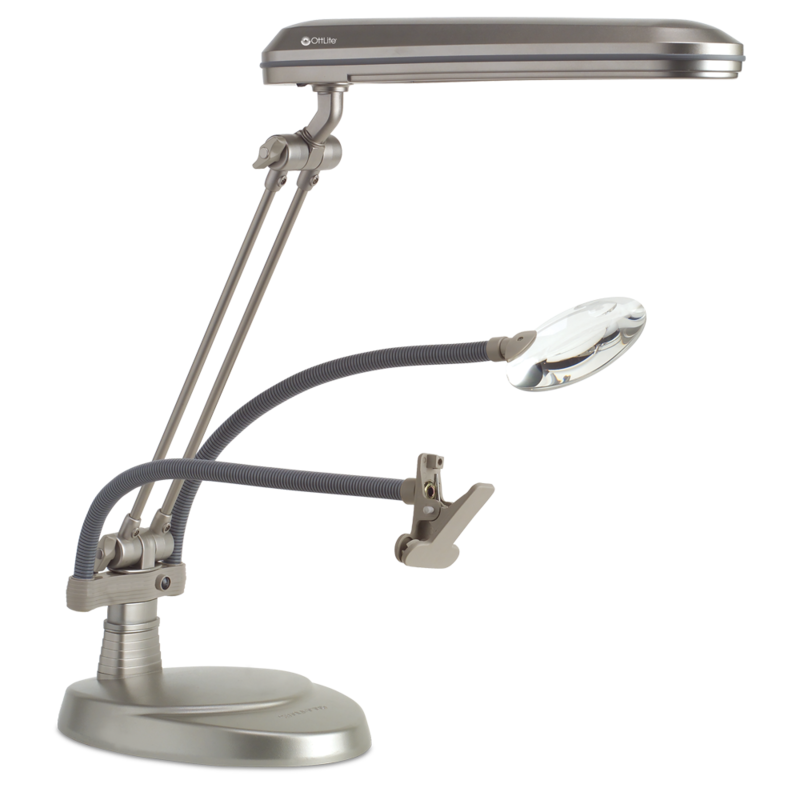 It's also a magnifying lamp with a 2x optical grade magnifier. 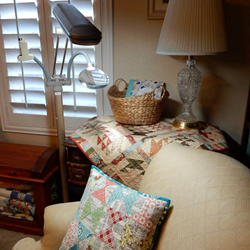 A Quilting Life - "Another feature I love about this lamp is that it allows me to sew with a very bright light...that doesn't bother anyone else in the room. 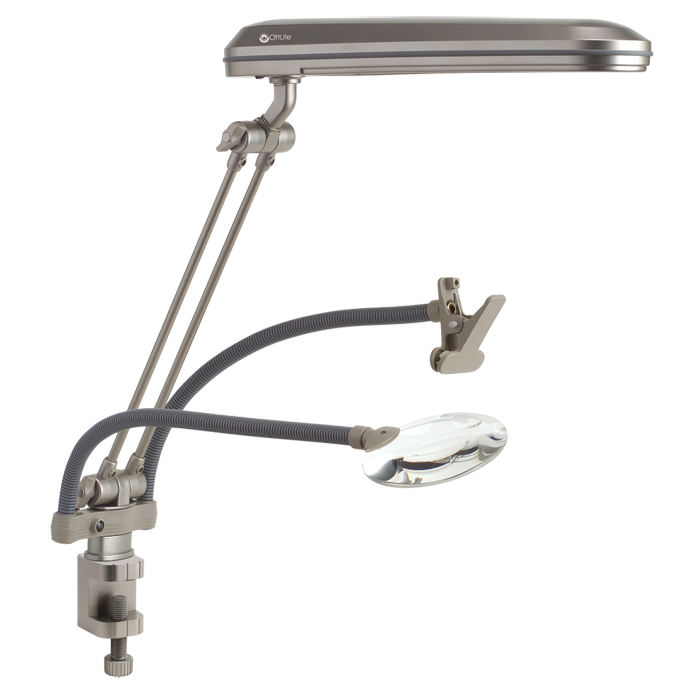 Sometimes everyone else is watching a movie, and I'm able to sew (and) see perfectly."